The first Plutarch study notes I ever wrote were for the Life of Publicola, and I wrote them mostly because I needed some myself and couldn’t find any. 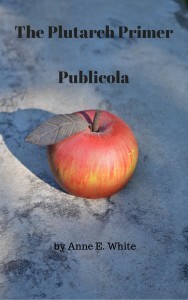 More Plutarch studies were added to the AO website, and life happened between them; and although some of the other Lives got corrected and updated, Publicola sat forlornly in its 2002 version. And still, AO users kept pointing each other to it as a good place to start with Plutarch. I agreed; I just wished it could be a little more useful.